We are always trying to mention as many resources as possible on our blog. These resources range from online articles, other blogs, forums, books, videos, and even word of mouth. Our favorite resources by far are those books that we can have on hand for the many questions that undoubtedly will arise during each project. The following post is dedicated to those books that we have found most enlightening. I've also provided a list of equally important resources at the bottom. Enjoy! 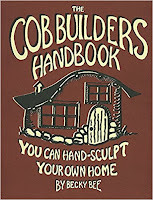 The Cob Builders Handbook by Becky Bee is the very first cobbing book we read. 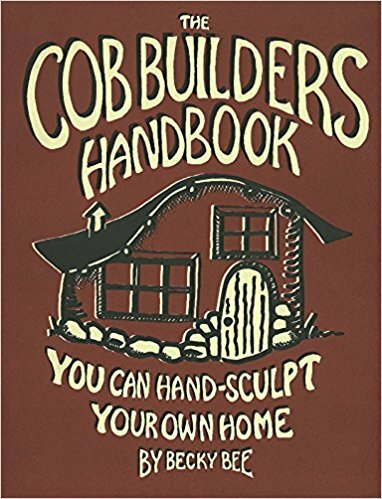 This book is really a great resource for beginner builders and provides wonderful drawings of everything one would need to know for starting off with cob. The writing in concise and just like cob construction, dusts off all of the technical jargon commonly used in the building world. Make sure you check out Becky's website here. 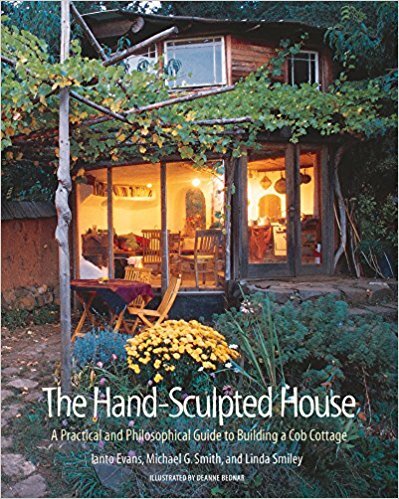 The Hand-Sculpted House by Ianto Evans, Michael Smith, and Linda Smiley is probably the most important cob building resource available for purchase online. If you are unfamiliar with the work Ianto Evans has cultivated at Cob Cottage Company, I highly recommend you to vavigate to their website. Ianto Evans is THE forefront of cob building in the United States and the popularity of earthen building in the country is largely credited to his company. We at SpiritWood have not had the pleasure of attending Cob Cottage Company workshops, but plan on making the trip and introduction in 2018. 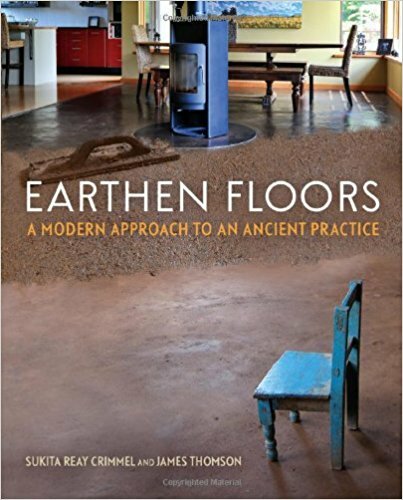 Earthen Floors by Sukita Crimmel and James Thomson is an excellent beginners point for understanding earthen floors. While a dirt floor isn't to everyone's taste, it is far superior to concrete and can be applied to basically any surface. 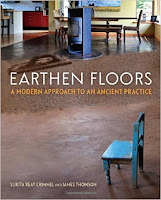 Earthen floors are smooth, beautiful, and can be inexpensive depending on what materials you choose. Sukita is by far the most knowledgeable individual on earthen floors and even has pre-mixed materials for order at her company's website. The mixes are quite expensive, but I highly recommend purchasing the finishing oils that they make at the very least. 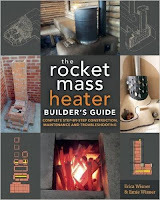 Rocket Mass heaters are becoming increasingly popular for their power, efficiency and low cost to build. 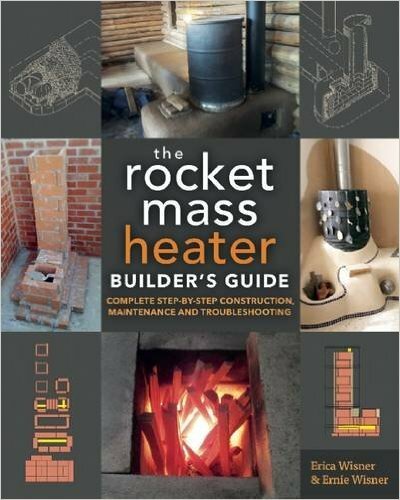 The Rocket Mass Heater Bulder's Guide by Erica and Ernie Wisner is by far the most detailed resource for building an RMH stove. The RMH is old technology used across the world and was adapted to the current oil drum variety by none other than Ianto Evans. Erica and Ernie, along with many others, have pushed this technology to greater limits and provided house warmers with an extremely efficient wood stove. You can learn more about the Wisners at http://www.ernieanderica.info/. 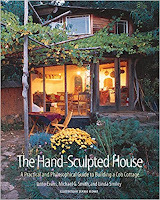 There are many other books, webpages, blogs, and videos dedicated to natural building so we are bound to miss a few. Below is a list of the ones we commonly use.